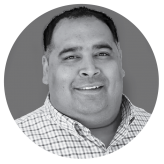 Aman Brar has an extensive background in leading technology companies through periods of high growth and has also held key corporate strategy and finance roles at Fortune 500 companies. As former president of Apparatus, Aman led the company through a $34.2 million acquisition by publicly traded and global consultancy, Virtusa, in 2015. Recognizing the need for a method to boost recruiting productivity, Aman and his teammates launched Canvas, the first enterprise-grade text-based interviewing platform that enables recruiters to screen more job candidates and market employment brands. Companies are already turning to Canvas to interview a range of talent, from welders to engineers to salespersons. Early adopters span from startups to Fortune 500 companies located in Silicon Valley to France. Canvas is enabling these organizations to transform their reach and engagement with talent by designing their recruitment strategies in a way that aligns with the communication preferences of today’s workforce. Prior to Apparatus, Aman was vice president of business development for ChaCha Search, leading its corporate strategic partnership activities. Before returning to Indiana for graduate school, Aman lived in Mountain View, Calif., and led a team responsible for the nation’s first consumer DSL broadband service. Aman sits on the board of Teach for America Indianapolis, EmployIndy, and is on the Board of Trustees for Wabash College. Aman earned his undergraduate degree from Wabash College and an MBA from the Kelley School of Business at Indiana University – Bloomington.